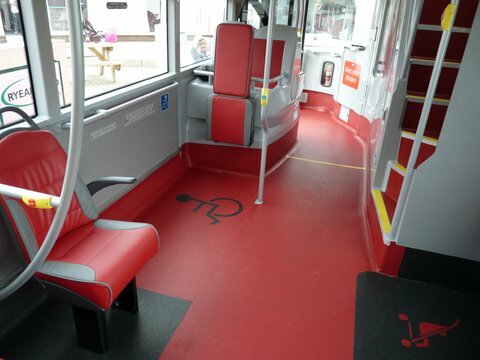 The first of the new Plymouth Citybus ADL Enviro 400 fleet are now ready and will be officially hitting the road on the 1st September. Thanks to Richard Smith for this excellent shot of 506 on test in town yesterday. Interesting for two reasons, firstly the lack of reference to 'Plymouth' or 'Citybus' and secondly, the first time AFAIAM that a full-size PSV has carried a normal series 'WF' registration (excepting a couple of 'Select' plates for COMS). Looks wonderful! Thank you very much both Richard Smith and Brian George for sharing these photos with us. Looking good. 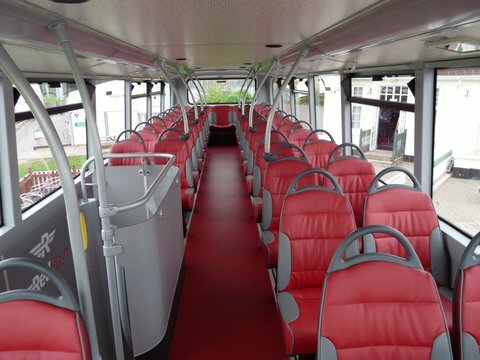 Interesting though, nowhere on the outside or the interior does it say it is Plymouth CityBus, no logo etc! 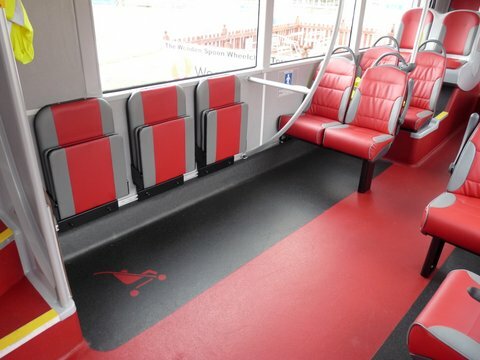 Well Done City Bus this looks superb real credit to you all. Trying to figure out if it's a low height or full height version, looks low height but can anyone confirm? Correct, low height. Distance between top of wheelarch and bottom of window line is the giveaway. What a tastefull livery! 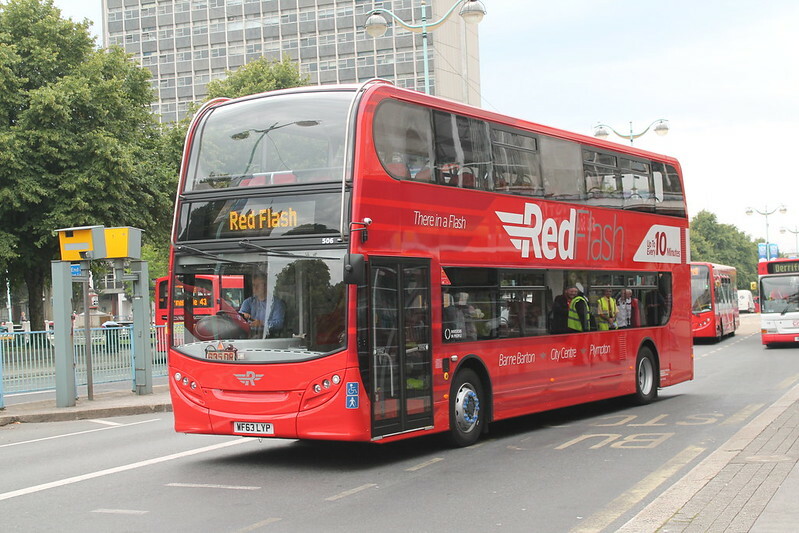 It proves that modern buses can look good, it's just that the bland livery's of the big group's let them down! Some people are never happy,they complain about too much decals and then moan when there's not.I should imagine there is some kind of identification of the bus owners identity somewhere on the vehicle anyway.Its different and stands out which it has to do to publicise the route lets just welcome the arrival of new vehicles rather than the hand me downs Plymouth normally gets!!. They are low height 13' 10" IIRC. I will be sending Graham more pictures to post later this week. There is a logo on the rear lower saloon window. There is a debate about adding a logo elsewhere but consensus at the moment is not to spoil Bluestone's fantastic design. After all red buses in Plymouth = Citybus. Not when they are "Jacketts" on the 54. Strange how no Citybus logo or the route number as part of description, does look nice though. 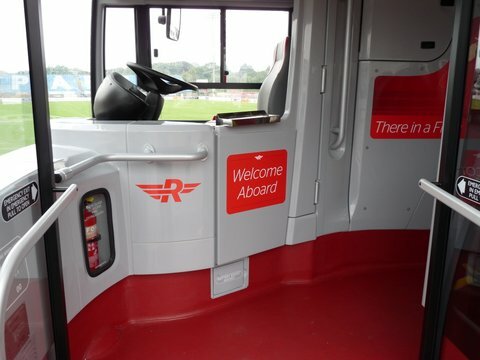 it does have Plymouth citybus logo, underneath the cab window and on back lower deck window. I've just rode this bus home and its extremely better than any other bus but You can stand up perfectly fine on the bottom and top deck!